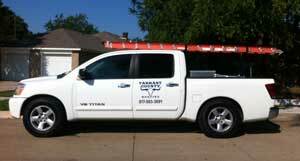 At Tarrant County Roofing we do everything we can to make your roof repair or roof replacement as painless as possible. We understand your home is where your heart is. And we know how your heart can be broken by a leaky or damaged roof destroying the prized possessions you’ve worked so hard for. We’re here to help you avoid that heartache. Every time you trust us to handle your residential and commercial building needs, we promise to provide you with the best quality roofing and construction services available. We have a solid customer satisfaction rating because of our dependability, outstanding customer service, excellent construction practices, and the use of superior materials. Sadly, just like any industry, there are a lot of roofing contractors out there who don’t always have your best interest at heart. While this may benefit them in the short run, we’ve found putting our faith in ethical business practices, and dedicating ourselves to serving your individual needs gives us the ability to gain and keep the trust of customers just like you. In other words: We’re in it for the long run. Free, no obligation, roof Inspections. Better Business Bureau accredited. View our BBB rating. Photos/Video of your damage to help you document everything your insurance company needs. Meeting with your Insurance Adjuster to ensure the scope of damage is accurate and you get everything you’re entitled to from your insurance company. Filing all necessary paperwork with your insurance and mortgage companies. Longer than average warranties (5+ years). Superior quality control with exterior inspections before, during, and after the completion of your job. 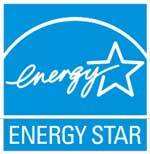 Experienced and qualified crews who perform top quality installation. On-time completion of your projects. Repair of all storm damage, not just your roof. Every job we do reinforces our reputation as a construction company our neighbors can trust to perform with quality and integrity. If you’ve been hit by a storm or think it’s time to have your roof checked out, call us today at 817-583-3691 or use our Quote Request Form to schedule your free roof inspection. It costs you nothing, but could save you everything.